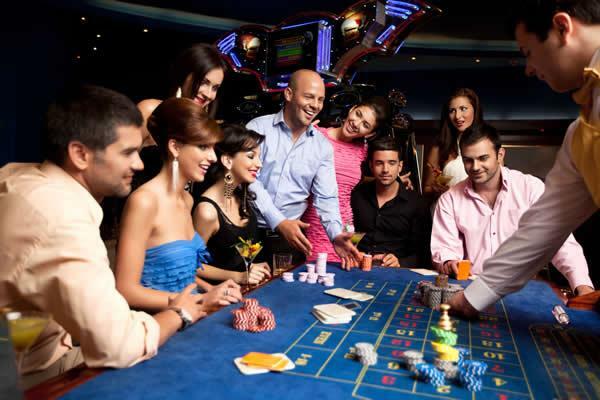 With over 30 years experience in the fun casino hire industry, we're the ideal choice if you're looking to bring the fun and excitement of a real casino to your event in East Sussex. Our luxurious full size casino tables and professional croupiers are the perfect way to bring all the fun, excitement and glamour of a real casino to your event. We regularly work in all types of venues in East Sussex including large hotels, pubs, clubs and restaurants. We also attend private parties at your home or office. Whether it's a private party, wedding reception, charity fundraiser or a corporate entertainment event, please get in touch for free advice or a free quote. We cover all of East Sussex including Battle, Bexhill-on-Sea, Brighton, Crowborough, Eastbourne, Hailsham, Hastings, Heathfield, Hove, Lewes, Newhaven, Peacehaven, Polegate, Rye, Seaford, Telscombe, Uckfield, Wadhurst and Winchelsea.